I have forgotten the name for these pink beans. I know I have blogged about this somewhere but for the life of me, I cannot recall which blog I posted it. Now, I am wondering what’s the name for these little cute pink dotted beans. As with all beans, taking too much of it can gives me wind in the tummy. The husks of the beans release gasses which will give me a bit of flatulence. If you have never buy and cook these beans, just grab a packet from the supermarket shelves. I normally boil the beans with some meat and a few pips of garlic. It doesn’t take long for the beans to cook, so always boil the meat for flavours first. Then, only add the beans. When cooked, the pink colour disappear and instead, you get some grayish/purplish looking soup. Just a slight tinge only. Taste wise, it is a nutty type of flavoured beans, if you know what I mean? They are called barlotti beans, I think. Rich in protein these beans, as in other bean groupings. Plus they say that the more color, the better nutrition. 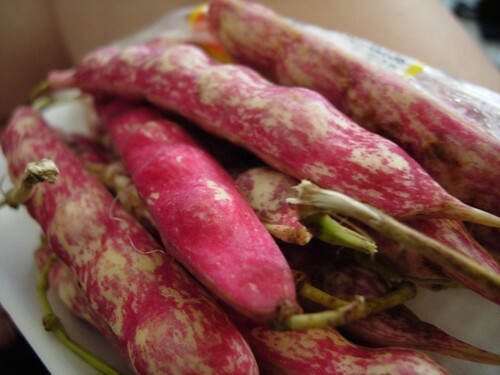 Locally, we have something similar in shape but greenish-grayish in color and we call it ‘bataw’ or hyacinth bean. Nutty in flavor much like boiled peanuts and often mixed in a stew with green string bean leaves, squash leaves, including blossoms with smoked fish. We used to call this Dinasours Eggs.. Wow missing the soup already..
Hi, 5xmom. Love your blog! 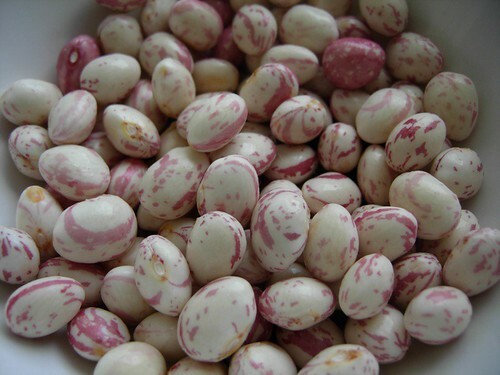 They are definately called Borlotti beans. Saw them on an episode of “Jamie at Home”. Cheers! You’re right @ june. I think it is called Borlotti beans. Oh and @Flower_Mummy ur right too i think. They are also called cranberry beans. 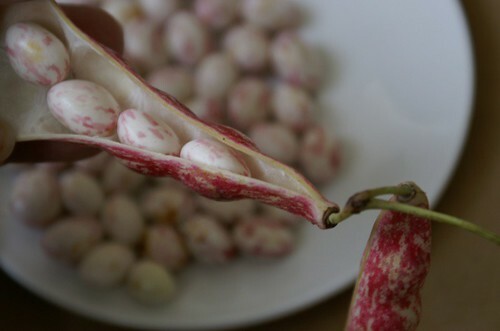 They originate in the Americas, where it is though that they were first cultivated as a cross between another native bean that is rounder and redder, often called the “true cranberry bean”, and a white bean. They were brought to Italy in the 1500’s where they were called Borlotti beans. But when grown in the US, they are usually called cranberry beans.